Time Management » A Subsidiary of Control Module Inc. The industry’s trusted workforce optimization provider, CMI Time Management, a subsidiary of Control Module Inc., provides innovative solutions engineered to help businesses improve operations, increase productivity, and reduce operating costs. Let our workforce insights empower your workforce, your operations, and your way of doing business. Provide advanced reporting and data export. Offer remote access via any Internet connection. Are modular for easy upgrading and maintenance. Can be customized for your specific operation. From standard products to custom-designed systems, CMI Time Management has the terminals and software that meet your workforce management needs. CMI Time Management is ready to provide the workforce and resource management products your company needs to streamline processes and optimize operations. Click here to request a custom quote today. We have created a unique product package for schools that addresses safety, security and access concerns, plus offers additional positive attendance tracking benefits, all in an easy-to-implement solution. There is an increased need for non-replicable, non-transferable forms of identification to control employee access to facilities. For nearly 50 years, we have been at the forefront of biometrics and other technologies. Many companies’ HR departments use our time tracking and data collection terminals to measure, control and improve the output of their operations, as well as provide reliable and accurate employee time and activity tracking. 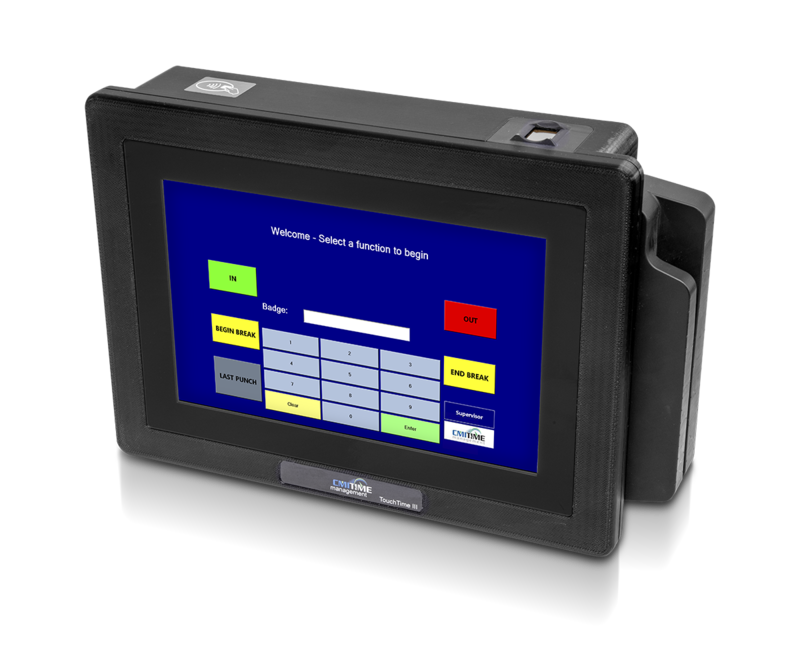 Our reliable workforce management terminals accurately capture data at every step of the manufacturing process, providing specific information that can help streamline machine output and increase productivity. Used by organizations of all sizes in locations around the world, CMI Time Management workforce management and time clock system products set the standard for excellence and performance. Designed with smart, modular systems, our products are easily customizable, upgradable and serviceable. Designed with a web-based interface, System Manager provides today’s busy management professionals with advanced, flexible human resource tracking, efficient data communications, and outstanding accessibility in one easy-to-use time keeping system application. Since 1999, our biometric products have proven reliable in a variety of applications. As the first company to market biometric technology in a time and attendance solution, CMI Time Management offers the expertise customers rely on for accurate and dependable fingerprint time clock data collection.